“Pamela Clay can hold her own with any actor on any stage anywhere, and may very possibly be in that rare one percent of true character actors. 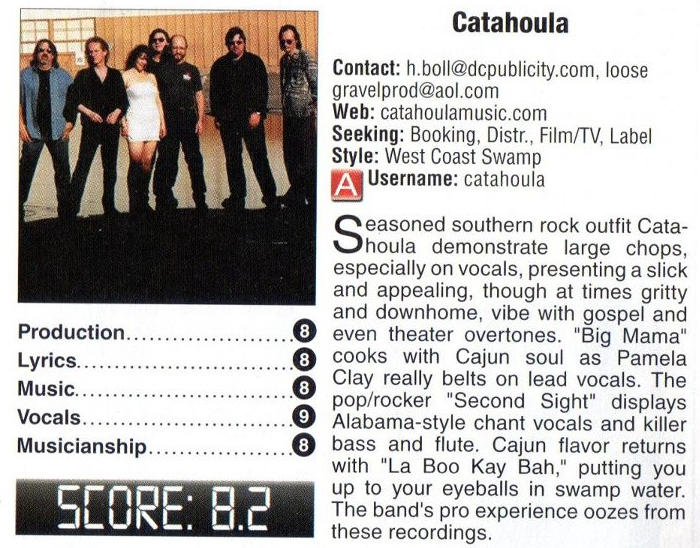 Music Connection lists Catahoula's Second Sight review as one of the Top 25 new music critiques of 2012. Catahoula listed as one of Music Connection's "2011 Hot 100" Live Unsigned Artists and Bands!